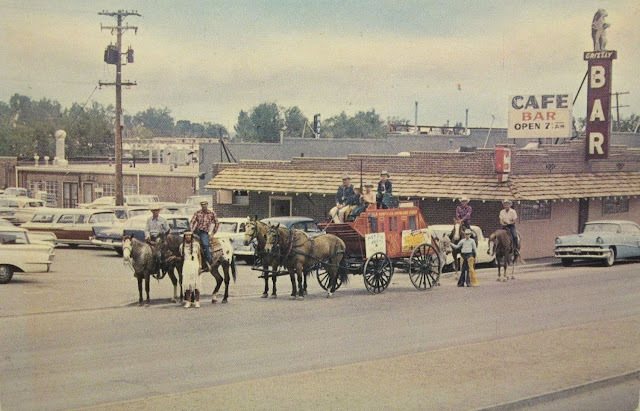 Statue of Schuyler Colfax in Colfax, California commemorating his part in helping complete the transcontinental railroad. 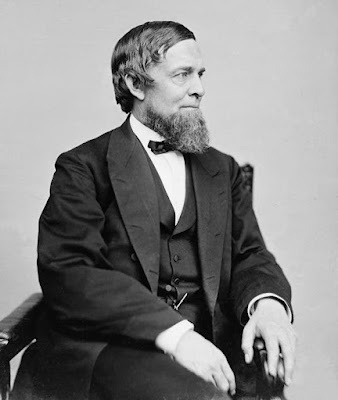 Schuyler also came to Colorado on this trip in 1865 to visit his niece who lived in Denver. A piece of the old Smiley's Laundromat sign hangs inside the lobby of the newly-renovated apartments on East Colfax Avenue. 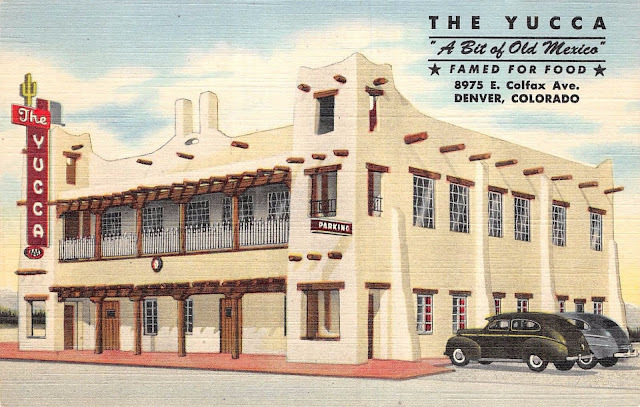 Despite the recent investments in the Art-Deco building, developers plan to demolish and replace it with a new apartment building that has ground-floor retail and underground parking. 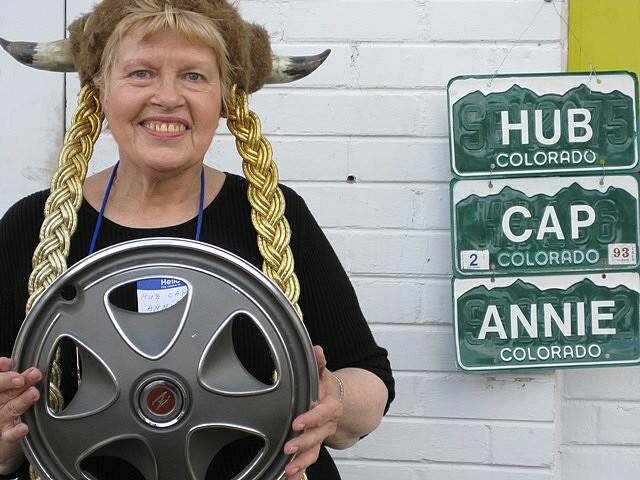 Hub Cap Annie once had a store on East Colfax Avenue...we miss you Annie! 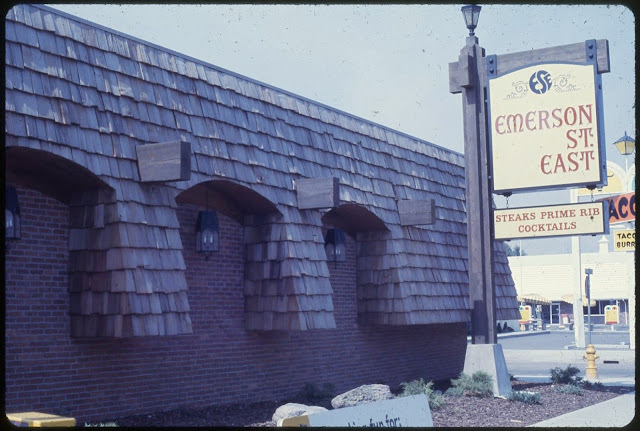 Emerson St. East used to be at 900 East Colfax Avenue in Denver. 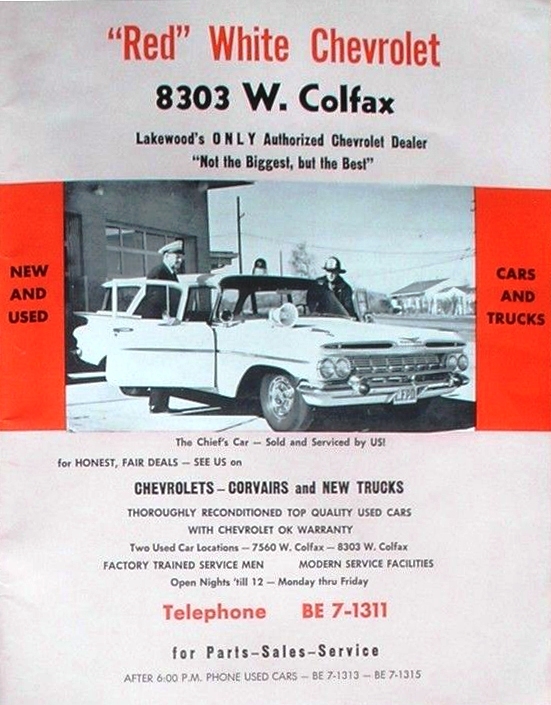 Today it's Charlie's! Picking up girls on Colfax Avenue: a time-honored tradition since (at least) 1937. The University of Denver Civic Center Campus. 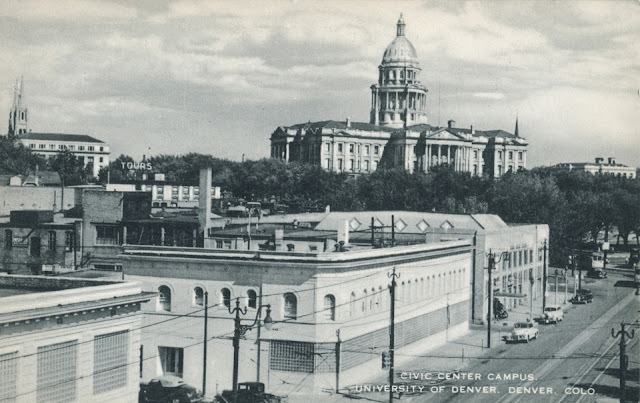 The Hotel Tours, Immaculate Conception Cathedral and the Colorado State Capitol can be seen in the background. 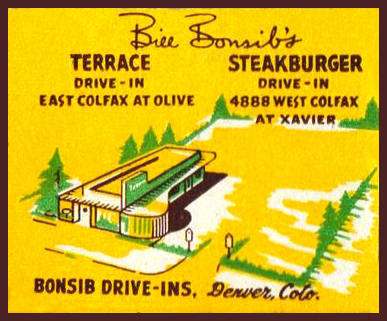 The Bliss House, located at 1839 Stuart Street, is a West Colfax landmark and was home to Colorado's last living Civil War Veteran. 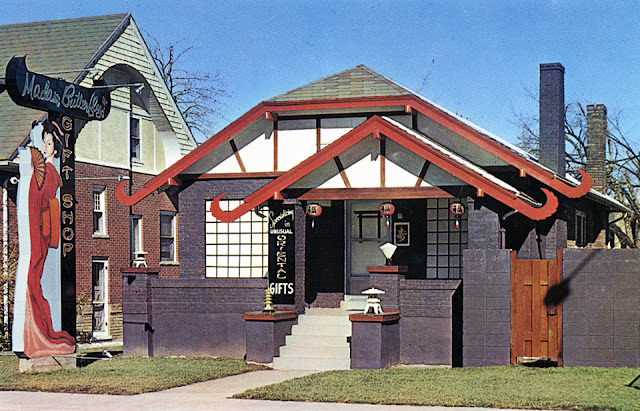 This Lang and Pugh-designed home was built for Dr. and Mrs. Jerry and Lillian Bliss. 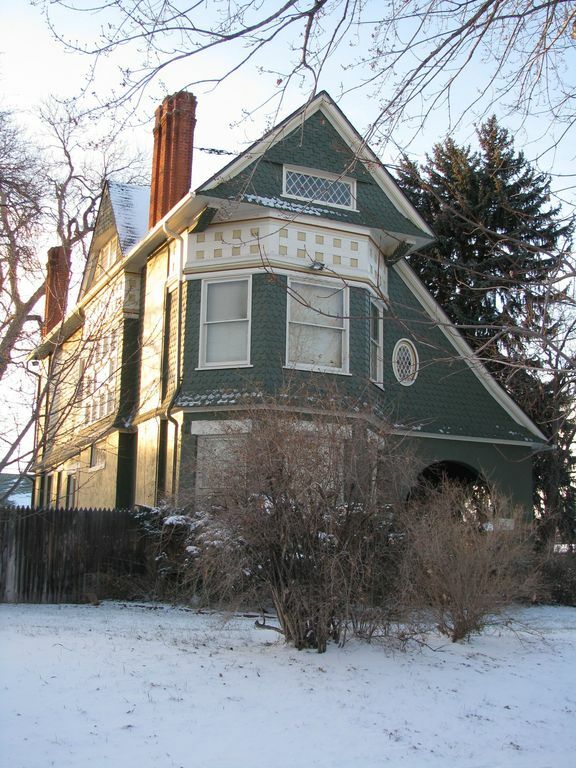 Dr. Bliss, a Civil War veteran, lived here until his death in 1945, at the age of 99. 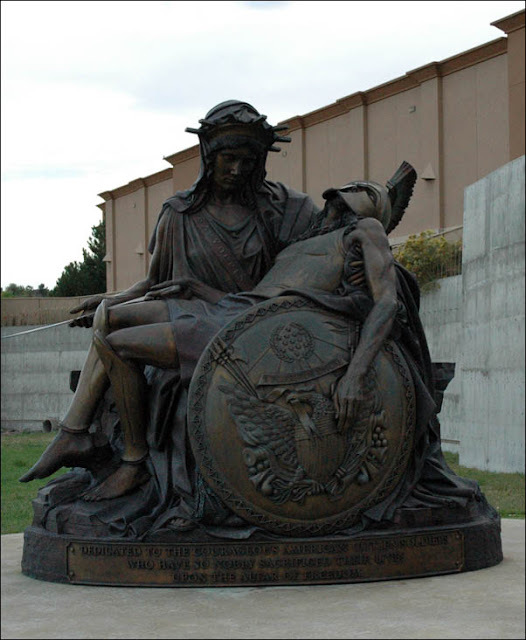 He was last surviving member of the Grand Army of the Republic in Colorado at the time of his death. Look! 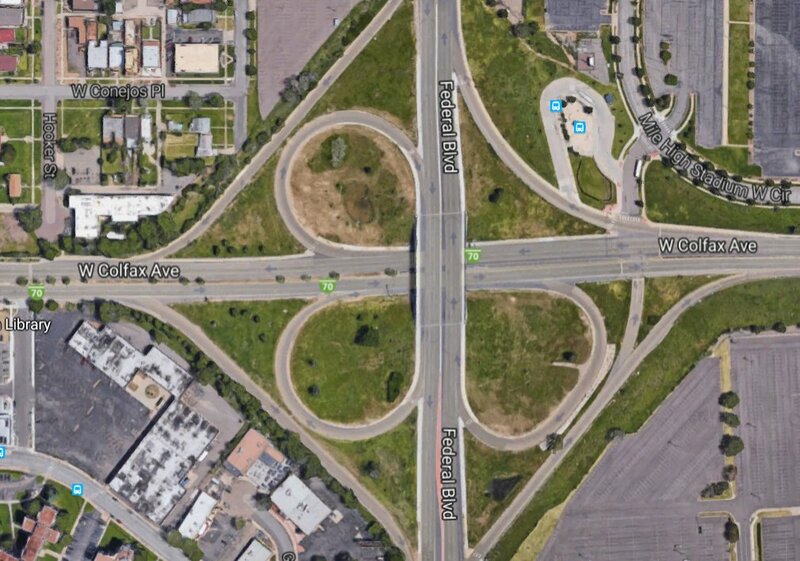 I found a four leaf clover on Colfax (well, almost). Happy St. Patrick's Day! 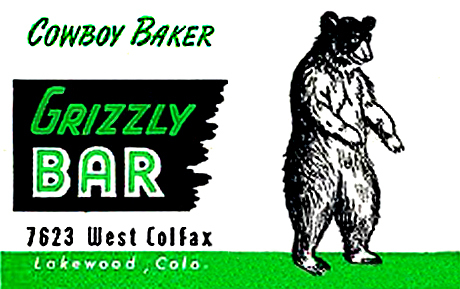 The Grizzly Bar, at 7623 W. Colfax Avenue, in 1957. Great photo by Olga Seybert of the Palomino Motor Lodge neon sign! C'mon Denver, let's roll. But first, be sure to get cleaned up and looking your best. 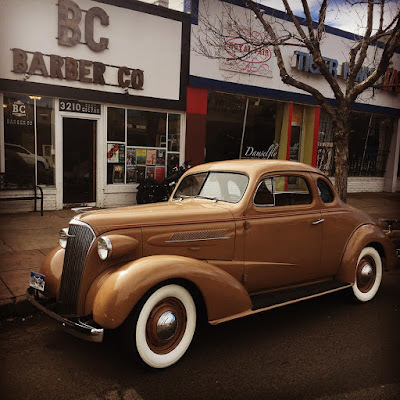 Here at BC Barber Co, we are here for you at 3210 E. Colfax Avenue! 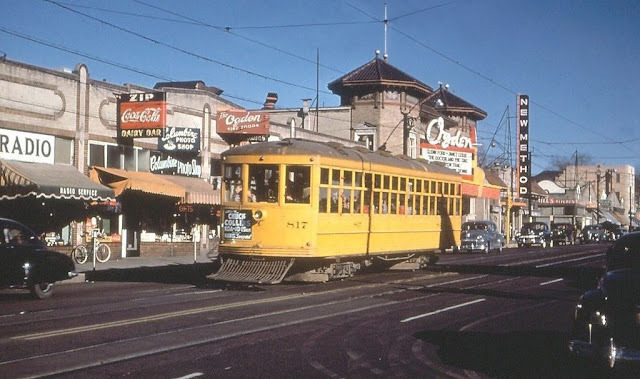 Colfax Avenue, at one time or another, has had it all...even a Madam Butterfly's!! 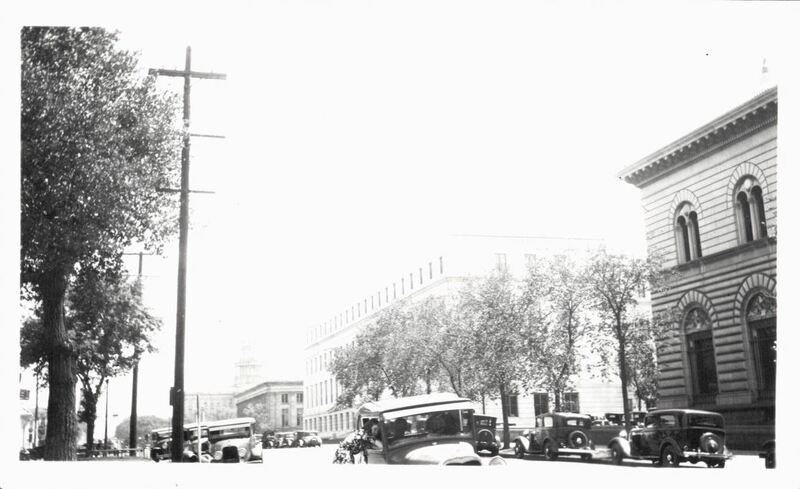 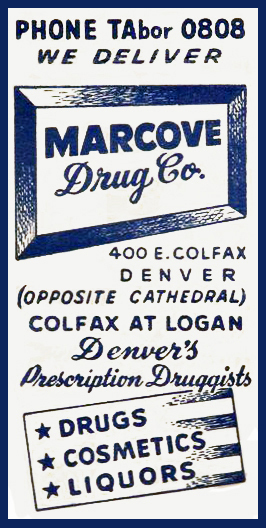 The Marcove Drug Co., once stood at 400 E. Colfax Avenue in Denver, CO. 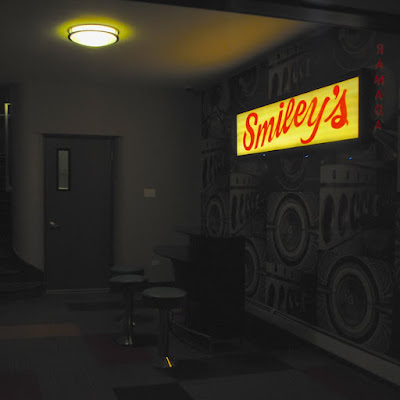 Remember Mr. 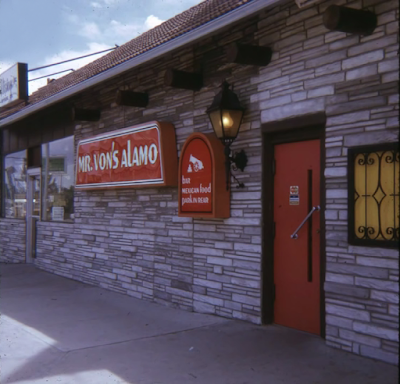 Von's Alamo? 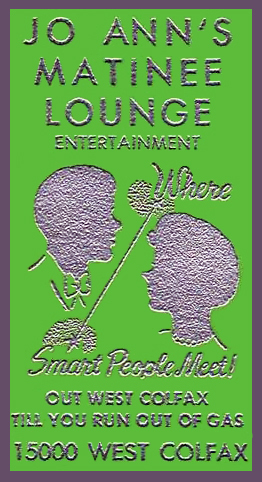 Today it's the Lost Lake Lounge! 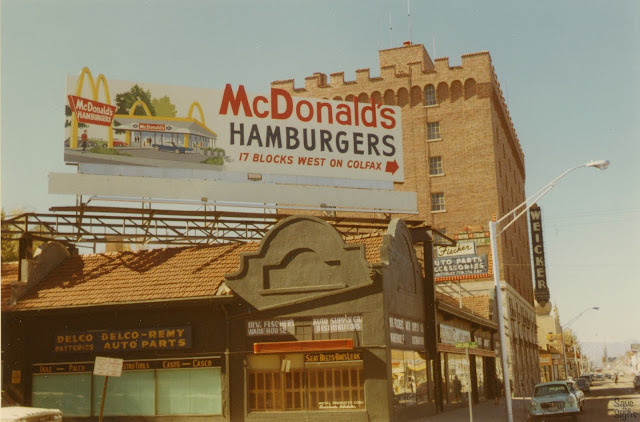 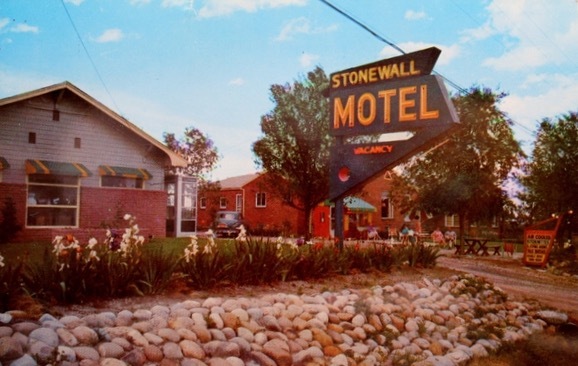 These photos were taken sometime in the early 1980's, when the sign had a fancy new paint job! 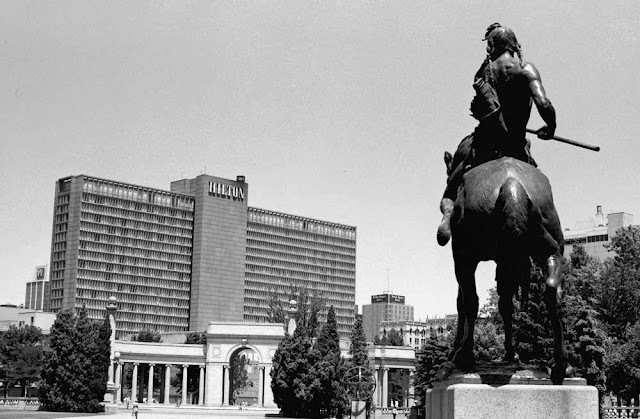 Denver Hilton Hotel, used to be across from Civic Center Park.